I got my Sceptre 65 inch 4k tv today and I was ecstatic. The first thing I did was hook up my fireTV and played a 4k youtube video! At first it looked AMAZING until I noticed that the border was brighter than the rest of the TV and whenever the screen was dark all I could see was the bright border and the bright streaks up the middle. Whenever we watch anything HD (most of my sons cartoons) or even 4K content the solid colors are fuzzy / grainy. I have adjusted all the settings and none of them make it better. We even tried my Xbox One and the colors were off and the same grainy textures were seen in the solids. On top of all of this the screen has a slight flicker to it. All of these things make it impossible to watch and I feel like I got ripped off. 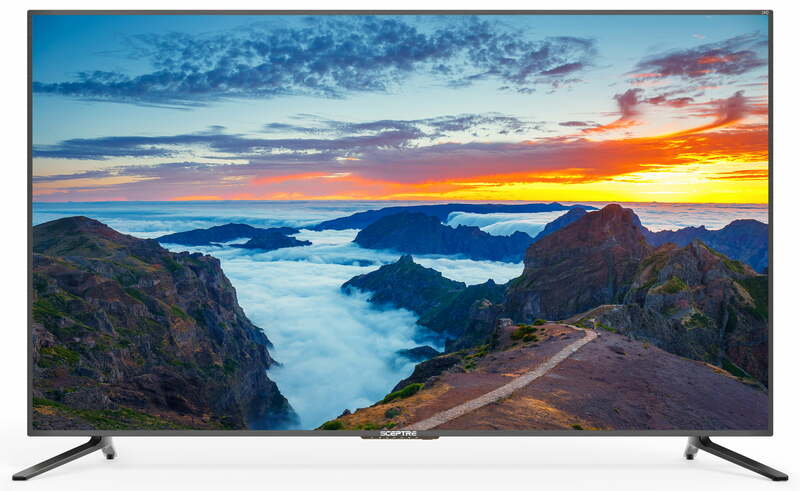 Tbook.com crawls the web to find the best prices and availability on products like Sceptre 65" Class 4K (2160P) LED TV (U650CV-U). This product is one of the more popular items we list which is why it is in our "hot deals" section. If you have any questions on this product, please give us a call at 734-971-1210 during the hours of 9am - 5pm EST for assistance. Thank you for shopping at Tbook.com, the Internet Department Store!